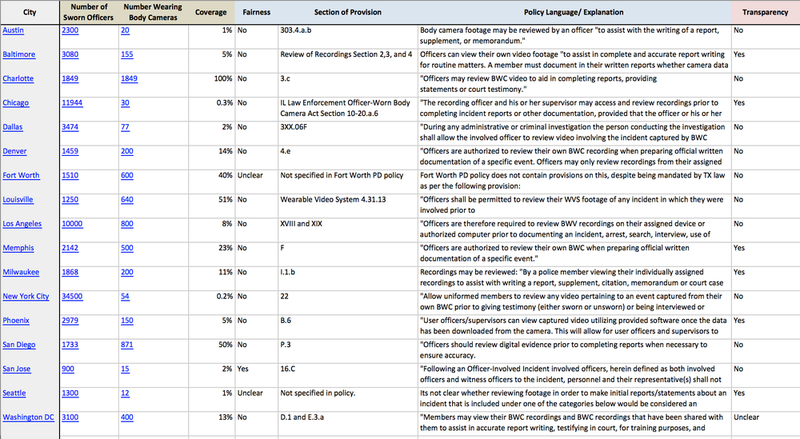 The reports featured on this page provide information about existing policies in U.S. cities and the areas where new policies are needed to end police violence. Source information is included in the spreadsheets below each report. More reports will be released in the coming weeks covering a range of policy areas. Reports will be updated as more policies are passed and implemented. For more information on police union contracts, visit useofforceproject.org. For more information on police union contracts, visit checkthepolice.org.